This is our first summer living in Maryland. I truly love living here. I love our neighborhood, our house and yard that is just the right size for our big family, and how near we are to a multitude of activities ranging from Washington, DC museums to a day on the beach. My kids are growing. My oldest will begin High School in just a month. I'll have kids in three different schools this year, also a first. They're developing their own interests, and with them, a desire to explore. Which means that this summer, my kids are involved in a myriad of activities, and I'm their primary transportation method. My work time has been carved into pieces around driving to and from day camps, lessons, and social engagements. In between, I've been planning meals, and trying to discourage the kids who are home between activities from arguing or making a mess. Plus, when kids are home and I'm trying to work, inevitably, they want my attention. They want to talk about their dream last night, or the video they saw, or what their friend texted to them this morning. It's hard to ask for silence, because I'm also keenly aware of how fast they're growing. I care about their thoughts; I want to be there for them. I don't want to be "that mom" who isn't really listening, isn't really present for my kids during this important time in their growth. I miss the different daily rhythm of the school year, with it's quiet mornings and early afternoons before the kids return home with homework and stories of their day, followed by dinner, planning for the next day, and then quiet work or teaching time again. Yes, I am enjoying more recreational time with my family. That's what summer is for too, right? Reconnecting, appreciating good weather and different activities that the school year doesn't leave time for. That's good stuff. I'm grateful for the flexibility to choose my schedule and manage my own work time. But, on the other hand, I have a need and a desire for silence - to meditate, or be open to the new ideas that help me more forward. I need focus and time to be productive. My work doesn't stop when the school year does. I just have to fit it in differently. 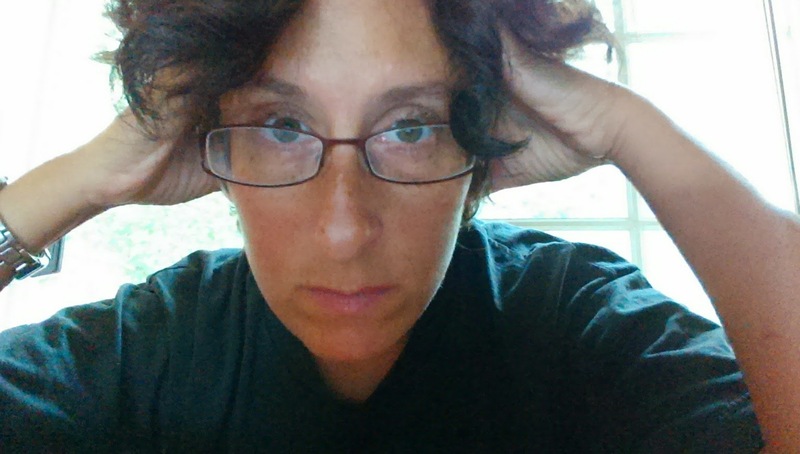 I'm finding myself pretty tired out, and sometimes frustrated at the interruptions, at leaving work unfinished and having to come back to it, and at the ways my energy has been pulled in many directions all day long. I know that it's temporary. The summer seems to go by faster than the rest of the year. The winter feels at least twice as long to me. And, I do love being outside when the weather is warm. I'm trying to breathe it all in, but even that can feel like a lot to remember when there are so many things on my todo list. Does your summer feel like this? Can you relate to my situation? In a moment of frustration last night, I told my husband I need a vacation from the kids and all this. He said he understands. I'm going to take one in two weeks. 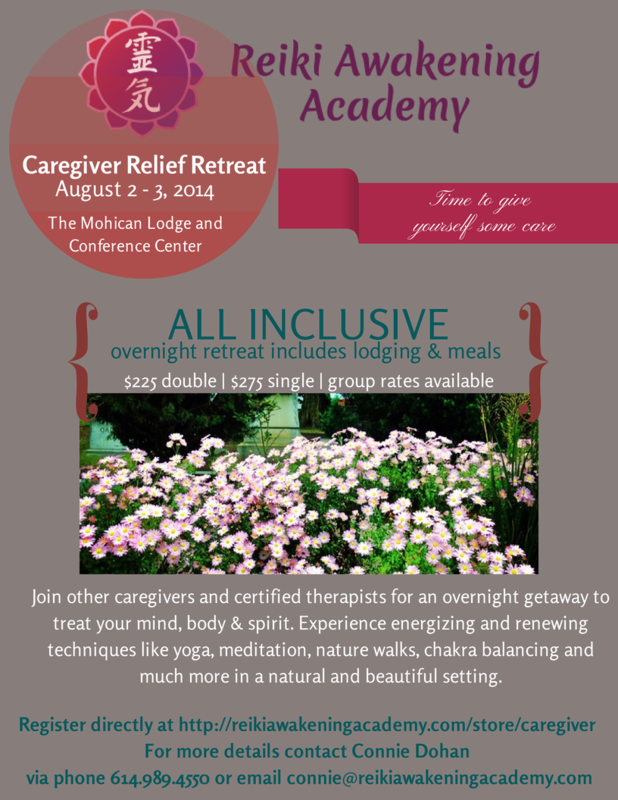 It's called Caregiver Relief Retreat. And that's exactly what I need. Even though I'll be leading this retreat with my business partner, Connie, and some great colleagues, I know I'll also get some benefit from the change in setting, change in rhythm, and a little energetic reset. We've been planning this retreat for six months. It's in mid-Ohio, at Mohican State Park Retreat and Conference Center. It's going to provide the kind of break that any caregiver needs - I'm talking about moms, nurses, teachers, social workers, and so many more. There will be guided meditation, yoga, nature walks, and energy healing sessions. Connie's bringing her aura camera, and we'll do some readings and intuitive fun stuff in the evening. We'll remind participants and ourselves the importance of this kind of break for self-care, because ultimately, it makes it easier to go back to giving care to those who need us. There are still some spots open. If you or anyone you know needs this break as much as I do, please come, and encourage them to come too. Better yet, bring them with you. Everyone is more willing to take time for self care if a friend invites them. Just click the flyer below. Let's do this together. Self-care is so important, and the most neglected of all. Even those who understand, preach, and teach the importance of self-care can be the worst at taking the time for their own. I hope that people will come on this retreat with me, so we can all remind each other, as we model what we teach by how we live.